Description How Fast are you? Dare Your Self & others and show your skills at TAP FAST! 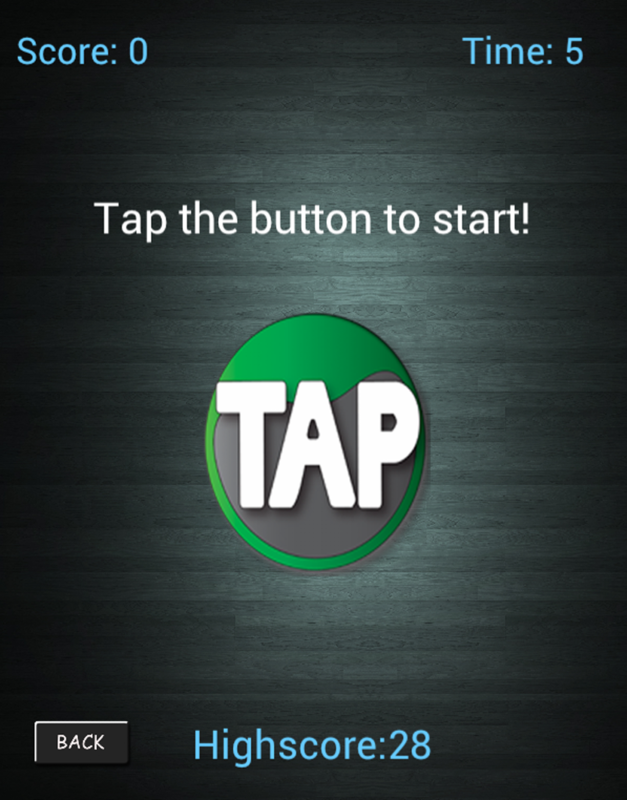 TAP FAST is an addictive game for all ages and it has 5 different Modes: 1. Classic 2. FUN 3. Time Attack 4. Survivor 5. 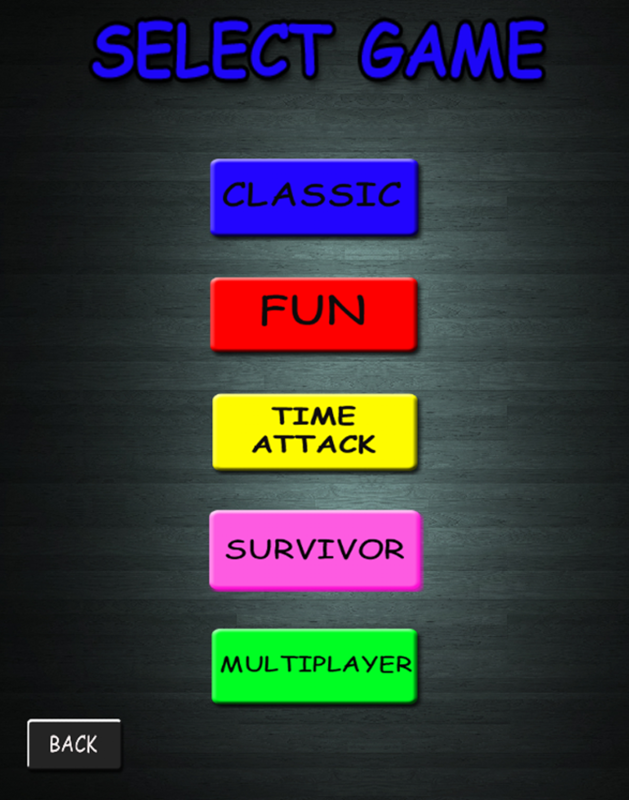 Multiplayer * At Classic Mode, userÃ”Ã‡Ã–s goal is to tap as many times as he/she can the centre-screen button within 5 or 10 seconds. * At Ã”Ã‡Â£Fun ModeÃ”Ã‡Ã˜, the user again has to tap the centre-screen button with the advantage of extra Ã”Ã‡Â£Bonus TimeÃ”Ã‡Ã˜ given when he/she reaches a specific number of taps. The Ã”Ã‡Â£Bonus TimeÃ”Ã‡Ã˜ in Fun Mode is given more than once! 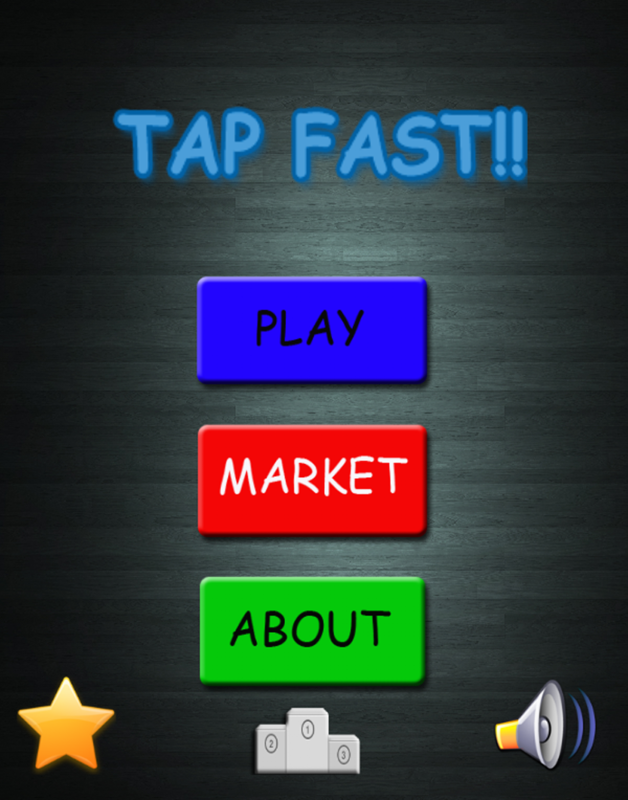 * At Ã”Ã‡Â£Time Attack ModeÃ”Ã‡Ã˜ the user has to tap as fast as he/she can to reach the score 0 at the best time. * At Ã”Ã‡Â£Survivor ModeÃ”Ã‡Ã˜ the userÃ”Ã‡Ã–s goal is to Ã”Ã‡Â£surviveÃ”Ã‡Ã˜ by keep pressing the Ã”Ã‡Â£tapÃ”Ã‡Ã˜ button for as long as he/she can. When he/she doesn't press the button for several seconds, the timer keeps counting from 3 to 0 until he/she presses it again. When the timer reach 0 the game is over. 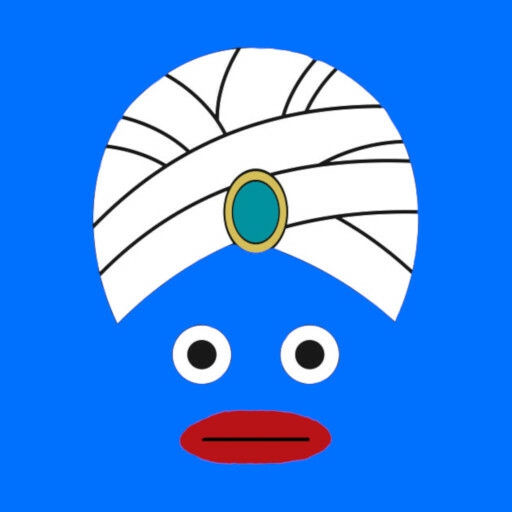 * At Multiplayer Mode the user has a 1 vs 1 battle with anyone that he/she wants within 5 seconds. The userÃ”Ã‡Ã–s goal is to tap as many times as he/she can the centre-screen button. 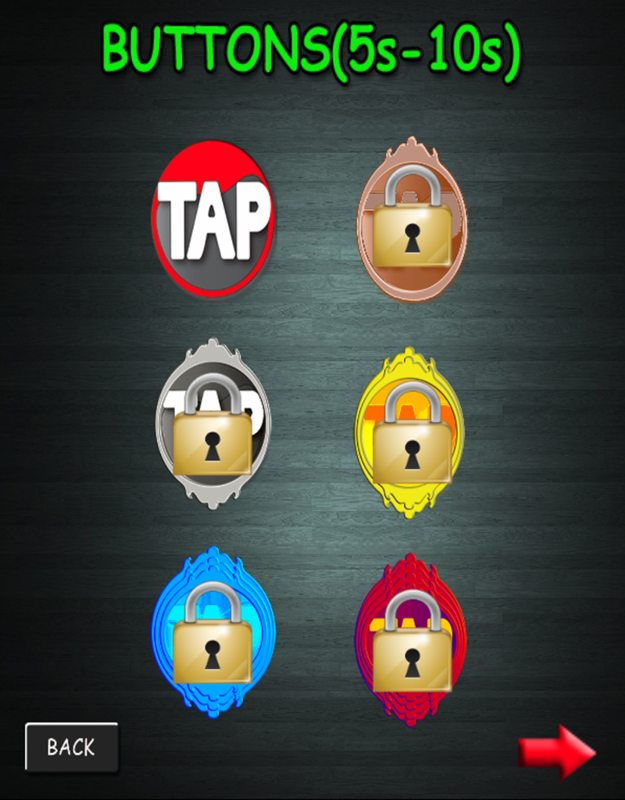 The user has the benefit to unlock buttons: (Silver, Gold e.t.c) after reaching a certain amount of taps. 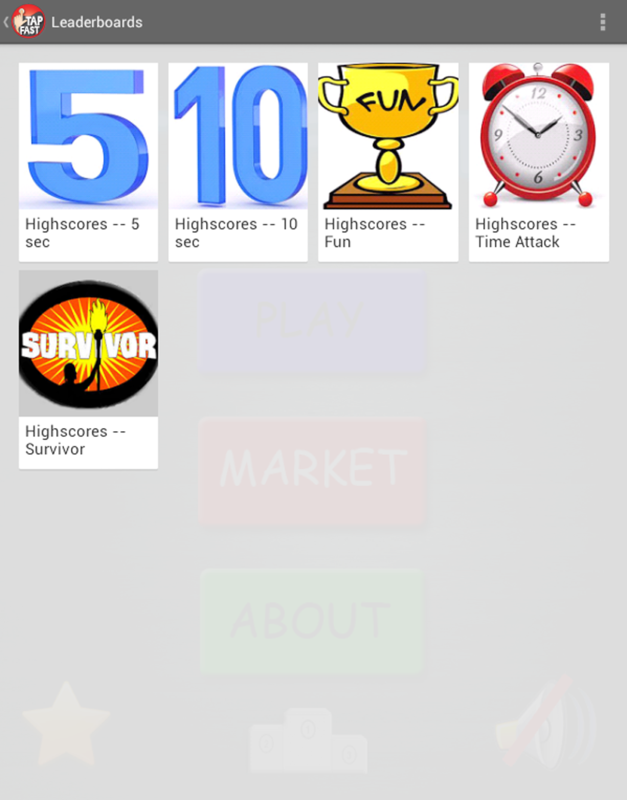 Sign in with Google to submit scores, to challenge friends and everyone ONLINE! !